Kansas City is increasingly recognized as a creative hub of the Midwest, attractive for both its affordability and rich cultural activity, particularly in the visual arts. Since 2010, The Kansas City Collection has celebrated this dynamic community by encouraging local companies to display work by exceptional area artists in their places of business. Through this effort, we help advance our city’s great creativity and build meaningful connections between artists and businesses. Over each eighteen month cycle of the program, participating business partners enjoy professionally-curated art selections in their offices for three six-month rotations. Meanwhile, artists gain significant exposure on the wall, online and in print, and are provided the opportunity to build relationships with participating companies, employees and customers. A unique and important feature of The Kansas City Collection is that each of the artists is guaranteed sales of his or her work by participating in the program. To date, The Collectors Fund has facilitated the sale of nearly 45% of The Kansas City Collections I, II, III, and IV, valued at more thant $550,000, to participating businesses and the general public. The artists represented in this catalogue were selected from 125 nominations compiled by a committee composed of distinguished local artists, curators, and art professionals. A separate Curatorial Committee met for a rigorous review of the artists’ work in order to arrive at the fifteen who are represented here. 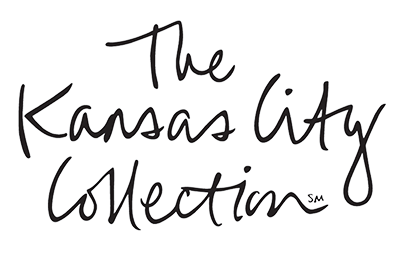 The Kansas City Collection is a program created and managed by The Collectors Fund (TCF). TCF was founded by Alexander “Sandy” Kemper, Christine Kemper, and Will Conner in 2006. In addition to managing The Kansas City Collection program, TCF is the management company for the American Masters Collection I and Twentieth Century Masters Collection, two art ownership and investment funds for more than 100 member families and businesses across the United States. The Collections comprise works by many of the most recognized American artists of the 20th and 21st centuries. They are distinguished by the art rotation program that allows members to enjoy museum-quality art in their homes and educational events that take place around the country.